Heat oil in a large fry pan. Add onion and sauté until soft. Add garlic, ginger, stir and leave to soften over gentle heat. Spoon mustard seed, coriander seed, fenugreek and cumin into a spice grinder or mortar and pestle. Blitz, or pound, until broken and well mixed. Spoon spices into the center of the pan with the onions, and toast for a little until fragrant, then stir into onion mixture. Add chilli flakes and sauté until fragrant. Stir in the tomato paste, tomatoes, lentils, boiling water or vegetable stock – about ¾ cup for canned lentils. Simmer gently so flavours can infuse. 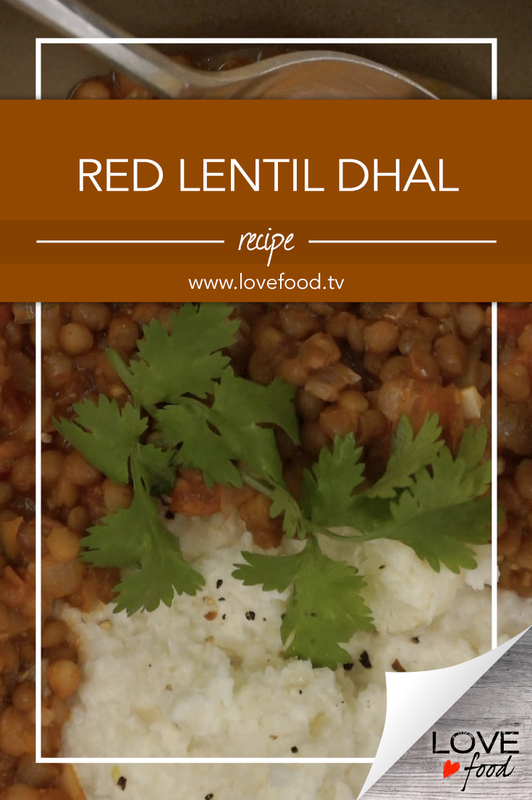 If using dried lentils, this will take about 40 minutes. Top up with extra liquid if needed - stock or water- and simmer until lentils are cooked through. Remove from heat. Stir in lemon juice, sea salt and top with chilli (for show ☺ ) and cilantro. Pulse cauliflower, in batches, in a food processor, until it becomes small, rice-like pieces. Don’t turn to mush! Melt coconut oil in a large pan over medium heat. Add shallot and sauté, 2-3 minutes. Add riced cauliflower, coconut milk and stir well. Pop in the cinnamon stick then cover and steam until coconut is cooked through. Test for doneness – it usually takes about 8 minutes. Add salt and pepper and serve with dhal.